Masha Georgiev is a talented birth photographer based in Oregon. When she sent us this birth story, we were impressed with both the physicality and emotion of her work. Told through a series of black and white images, this birth story is inspiring, unique, and worth sharing. This was a second birth for this Mom, her first time giving birth at home with midwives. 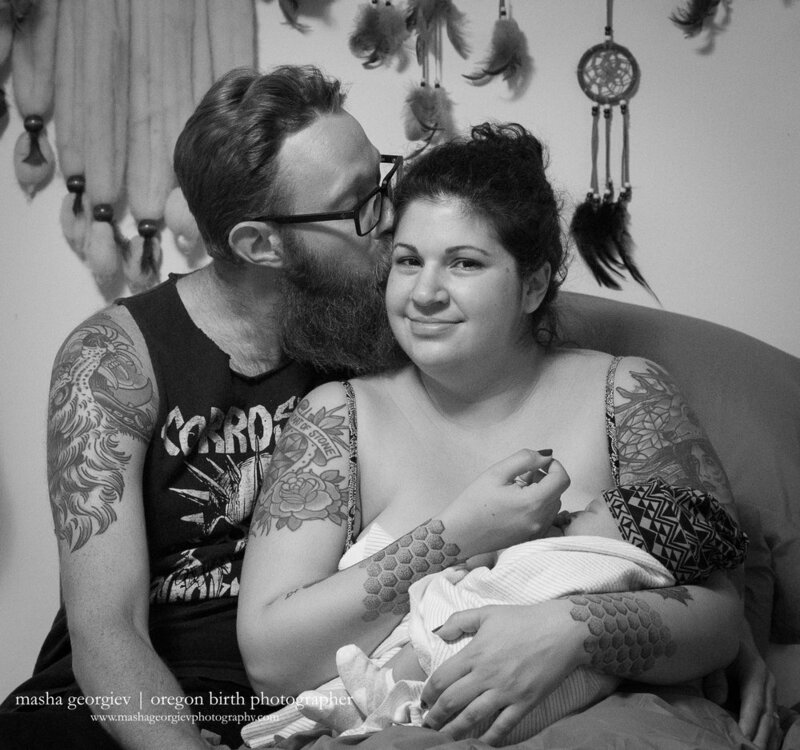 Her first birth was over 14 hours, so she expected this one to be around the same. To her and my surprise, she went into labor and progressed very fast! She called me at 3am to notify me that she "thinks" she is in labor. Three hours later, she called again saying "I have the urge to push!" I flew to her home and arrive at the same time as the midwives. No more than 15 minutes later, we welcomed her beautiful baby girl. This mom was strong and empowered. She labored through her contractions quietly. She handled pushing like a pro. A new life was in her arms.